Enjoy the refreshing and delicious taste of oranges! 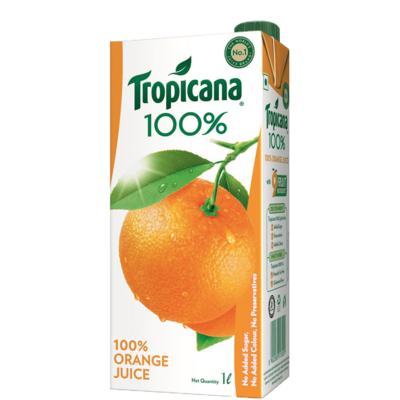 A special 6-layer protection gives you the goodness of tasty, ready to serve fruit beverage in every glass of Tropicana. Did You Know? Oranges are also known as Tangerines and Mandarins, this tasty citrus fruit is a great refresher. Enjoy the refreshing and delicious taste of oranges! A special 6-layer protection gives you the goodness of tasty, ready to serve fruit beverage in every glass of Tropicana. Did You Know? Oranges are also known as Tangerines and Mandarins, this tasty citrus fruit is a great refresher.